UPDATE 29.03.19 – Please note this service has been discontinued. Top 20 Golf Tips is a tipster from the Betting Gods platform and they bet solely on players to finish in the top 20 of a tournament. It is a novel approach and not one we have seen before when it comes to golf betting. On the face of it you would think it would be easy to predict players who will finish in the top 20, but of course there is no value in backing players like Dustin Johnson, Rory McIlroy and Justin Rose in that market because the odds will be so short. No, what this service does is pick big outsiders who the market thinks are long shots to even finish in the top 20, with the average odds of picks being 10/1. We ran an extended 12 month review of this service to get a really clear picture of its edge over the market as the results coming into our trial looked very impressive. The good news is that the results held up very well during our trial, with a profit of 138 points made over the 12 month period. After going into deficit early on, they recovered well to finish the trial well in the red. The profit was achieved with a solid return on investment of 11% and the strike rate was 13%. However, we did notice some issues with regard to the practicality of following the service – particularly with regard to the availability of prices. Firstly, the liquidity on Betfair for the top 20 market tends to be very poor so in reality you will need bookie accounts to follow the tips. And then even with those accounts, as this is a niche market prices tend to move very quickly so you will need to act fast after tips are sent out. For example with today’s tips, after just over an hour since the tips were sent out, 5 out of the 34 tips have prices that are no longer available. So you will need to be aware of these issues if you are considering signing up. Overall though we feel Top 20 Golf Tips deserves a PASSED rating based on the decent profits it has made over the last year, but with the caveat that you will need certain bookie accounts to follow it and will need to act fast after tips are sent out. Ease of use: There are an average of 25 bets per week, which overall isn’t too bad but with this service they all come in one or two e-mails so it’s a case of placing a lot of bets in one go and then having the rest of the week without needing to do anything. Bets are normally sent on Tuesdays and Wednesdays around 10-12 in the morning. Availability of prices: As discussed above, you will need certain bookie accounts and to act fast to secure the advised prices. Using Betfair is not realistically an option. Strike rate: The strike rate for the trial was 13%, so a certain amount of patience will be required when following the service. Advised Betting Bank: A 150 point bank is advised for following the service, which should be sufficient although there have been 80 point drawdowns in the past (including one during our trial), so a 200 point bank might be more advisable to be on the safe side. Subscription costs: The subscription costs are reasonable at £1 for the first 7 days then £29/month or £279/year. We ran an extended 12 month trial of Top 20 Golf Tips and the service performed very well over that period with 138 points profit made to 1 point level stakes. We always focus on long-term results rather than short-term ups and downs so this service proved its edge over the market in the course of a full year. On that basis we are happy to award it a PASSED rating. However, that does come with a caveat that you will need access to the bookie accounts listed above and will need to act fast after tips are sent out to match the advised prices. If you are not able to do these two things then it will probably not be practical for you to follow the service. A loss of 35 points for Top 20 Golf Tips since our last update back in December, which continues a losing run over the last few months unfortunately. However, they are still well up for our trial overall, with 112 points profit made to date. We have nearly reached the end of our extended 12-month trial here so will be wrapping this one up shortly – hopefully with a bit of a surge of profit at the end. There’s been a slight dip for Top 20 Golf Tips since our last update, with a loss of 12 points over the last month. They are still well up for the trial overall though, with a profit of 147 points made so far. We have now been following the service for nearly a year and have been very impressed with the profitability and consistency delivered in that time. Let’s hope that continues for the remainder of our trial and we can award this a firm passed rating at the end of our review. Top 20 Golf Tips continues to consistently deliver the profits, with another 21 points profit made since our last update a month ago. That means they are now 159 points up for our trial overall. We have been impressed with this service having followed it for nearly 10 months now. It is almost certainly heading for the Winning Systems list. Yes there a lot of bets to place in one go but it is only once a week, so you just have to put aside some time – maybe half an hour or so – to place the bets each week and then you are done. It doesn’t seem like much work to us for a service that is churning out the profits as consistently as this one. More steady profits for Top 20 Golf Tips since our last update, which is becoming a theme for them. They have made another 17 points profit over the last month or so, taking them to 138 points profit for the trial overall and it has been fairly serene progress lately. This is a service where you do need bookie accounts to be able to use properly, as the exchanges don’t tend to offer Top 20 finish markets on the golf. As long as you have some bookie accounts available to you though and some time each week to place the bets, this is looking like a top service. A small improvement for Top 20 Golf Tips since our last update, with one point of profit added over the last three weeks. That means they are now 121 points up for the trial overall. As we mentioned previously, it is quite a high volume service, although all the selections come in one go so you need to allocate a good half hour to an hour to place the bets once a week. After you have done that though you can just sit back and watch how all the tips get on in that week’s tournaments – which recently has been very well. Let’s hope that continues. Top 20 Golf Tips has been on excellent form lately, racking up an impressive 83 points of profit since our last update. That means they are now 120 points up for our trial overall. Recent successful selections include Parker McLachlin at the John Deere Classic at 33/1, Trevor Immelman at the Scottish Open at 25/1 and a whole host of winners at around the 10/1 mark. We are now starting to see the kind of form shown coming into our trial and why this service has been held in such high regard. Let’s hope that continues over the long term. Not much change for Top 20 Golf Tips lately, with just 6 points lost since our last update. That means they are now 37 points up for the trial overall. As we have mentioned previously, this is a high volume service with a large number of bets each week, so be prepared to spend quite a bit of time placing the selections once you receive the weekly e-mail. Some big golf events coming up soon with the Open Championship, Scottish Open and USPGA in the next few weeks, so hopefully a chance to net some profits. There has been a small dip for Top 20 Golf Tips since our last update a few weeks ago, with 8 points lost in that time. Overall though they are still well ahead for our trial, sitting 43 points up. They had a whopping 26 bets on the AT&T Byron Nelson last week, but unfortunately only Brian Gay and Kevin Tway came in for them, both at 6/1. Still, overall things have been going well so can’t have too many complaints. Top 20 Golf Tips has continued its impressive turnaround, adding another 39 points profit since our last update. That puts them 51 points up for the trial overall. They had a nice 20/1 success with Joel Dahman at the Wells Fargo Championship, solidly building on some previous successes over the last few weeks. It should be a good time for golf betting now with the Players Championship this week and the US Open just over a month away, so hopefully the good recent form will continue through those events. Top 20 Golf Tips has made an impressive comeback after a very tough start to our trial. Since our last update they have made 64 points profit, which means they are now 12 points up for the trial overall. It has been quite an effort to have come back from 80 points down at one stage to profitability now. They have landed some impressive top 20s including Rak Cho at 33/1 at the Open de Espana and Jonas Blixt at 18/1 at the RBC Heritage. It is kind of crazy to think that some players are priced at 33/1 just to make the Top 20, so we are talking about some massive outsiders here. Anyway, hopefully we have turned the corner now and will start to see some consistency to the results going forward. There has been something of an improvement for Top 20 Golf Tips since our last update, with 19 points profit made in that time. Although unfortunately after making such a bad start to the trial, that means we are still 52 points down overall. Generally speaking we have found that the advised prices are fairly obtainable. Some will have shortened when you go to place the bets but others will have lengthened, so overall it has tended to balance itself out. Let’s hope the recent turnaround continues and we will have clawed back more of those early losses by the time of our next update. It’s been a disappointing start to our trial of Top 20 Golf Tips, which is 71 points down after one month. This is looking like being the worst month they have had since the service started two years ago. Call it sod’s law or what you will, but either way it has been a tough run. It’s an unusual service to follow in that there are a lot of bets to place in one go – about 35 normally, which all come through on a Wednesday evening. So you need to devote a good half an hour to 45 minutes to placing those bets. But then once they are placed, that’s it for the week. Anyway, even though it’s been a bad start there is still plenty of time left in the trial so let’s hope they can turn things around. 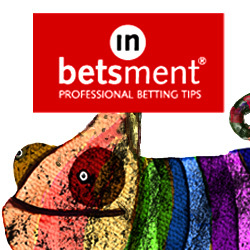 Today we are going to take a look at a golf tipster with a bit of a twist. Whilst the vast majority of golf tipsters bet on the winner of the tournament, this one backs only in the top 20 market. Hence the name Top 20 Golf Tips. There is quite a sensible logic to backing in the top 20 market. Anyone who has bet on golf will know how tough it can be to pick the winner of a tournament. Or how agonising it can be to have your player be up in the lead virtually the whole tournament and then have a bit of bad luck or have a putt just lip out at the end to miss out on the win. So by backing for a player to finish in the top 20, you are giving yourself quite a lot of leeway for the player to get themselves inside that bracket. That is the logic anyway, but more important is whether the tipster has made it work in practice. Well judging by the results on the Betting Gods website, they have done – and how! The results are quite astounding. With over 1,000 points profit made since February 2016, it has one of the highest points totals on the Betting Gods platform. And that has been achieved with a return on investment of 56%, an awesome level to have sustained over the course of two years. As you can see, it is one of the smoothest profit graphs you could possibly ask to see. Just nice steady profit month after month. In fact, 21 out of the 23 months so far have been profitable. That is the kind of consistency most tipsters can only dream of. It is quite a high volume service, with 80 to 100 bets per month, so there will be quite a bit of work to do on a Wednesday evening when bets are sent out. And we will have to see how obtainable the prices are. But certainly based on the results achieved to date we are very much looking forward to this trial and seeing whether they can be replicated in the long run. As usual progress will be updated here regularly. In the meantime you can check out Top 20 Golf Tips here.